Working as a geotechnical engineer, you'll support design and construction by carrying out testing and analysis to assess risk to humans and the environment. Risk can arise from natural hazards such as landslides, sinkholes, rock falls and earthquakes. Your assessment will enable you to evaluate the soil and rock and determine the feasibility of a construction or engineering plan. Geotechnical engineering is closely linked to, and overlaps with, both engineering geology and ground engineering. It's possible to specialise in geotechnics or work for a geotechnical company, but be known as an engineering geologist or a ground engineer. complete three distinct stages for each project you undertake. monitor conditions during and after construction to make sure structures are stable in the short and long term. making recommendations about the proposed use of the site. As a graduate geotechnical engineer you'll earn around £18,000 to £28,000. As a geotechnical engineer with around five years' experience, you can earn between £26,000 and £36,000. In a senior, chartered or master geotechnical engineer role, you'll earn in the region of £40,000 to £60,000. In the early stages of a career in geotechnical engineering, extra hours are a common occurrence because of the significant amount of time spent on site. However, as your career progresses a more regular, 9am to 5pm work schedule is common. Part-time opportunities are fairly rare. The role includes both office and site visits, so you'll have the opportunity to explore sites across the UK and potentially overseas. You'll carry out a high level of investigation during each project, as you search for geohazards across different time periods which may pose risks to a current construction or engineering development. There are lots of opportunities to meet new people, as you'll work with a range of professionals at every site. The work can be stressful as you may be responsible for the safety of others while on site. There is also a high level of financial responsibility, as the recommendations you make can have serious cost implications. Alternatively, you may have studied civil engineering with a geotechnical bias. Completing a geoscience degree accredited by The Geological Society, will allow you to qualify for Fellowship after you have gained some relevant postgraduate experience. In the longer term, if you wish to become a chartered geologist (CGeol) you must become a Fellow of the Society. For those with a background in civil engineering or the sciences, it can be possible to enter geotechnical engineering through the Institution of Civil Engineers (ICE) or the Institute of Materials, Minerals and Mining (IOM3). Some employers favour postgraduate qualifications, such as such as a Masters (MSc) in soil or rock mechanics, geotechnical engineering, engineering geology, hydrogeology, or foundation engineering. able to drive and hold a full licence - many employers will require this. Many geotechnical consultancies, construction companies and engineering firms offer summer internships and placement year opportunities which will make you a more competitive candidate for graduate roles. Make the most of field trips and opportunities to carry out investigative ground work if offered as part of your degree, as these experiences are highly transferable to the role. You'll find the majority of jobs in the private sector, working for engineering or construction organisations or consultancies. There are growing numbers of specialist geotechnical consultancies. Oil and gas companies and environmental consultancies also recruit geotechnical engineers. Graduate opportunities for geotechnical roles are currently buoyant as land is increasingly being repurposed. It can be fruitful to approach employers directly to enquire about potential job opportunities, or even to ask for vacation experiences or the chance to shadow a geotechnical engineer. The Association of Geotechnical & Geoenvironmental Specialists (AGS) has a useful directory of members, which can be used to find suitable contacts. Ground Engineering have created a similar resource, the UK Geotechnical Services File, which lists consultancies. Initially, your training will focus on company policies and processes, such as site inductions and health and safety practices, as well as the use of specific software packages for analysing and presenting site data. Most employers will be keen to help you develop your skills during the first few years. It's common for new entrants to be given the opportunity to work with a mentor and to create a tailored development plan. This can include working towards a range of professional qualifications, or focusing on personal development such as presentation skills or creative thinking. Some larger engineering, construction or oil and gas companies may offer the opportunity to spend fixed periods of time working in overseas branches. Employers will usually encourage you to pursue chartership (once you've gained some experience) and you can do this through accredited training linked to professional bodies. Becoming a Fellow of the Geological Society of London (FGS) or the Institute of Civil Engineers (FICE) will also help you maintain your knowledge base and connect with other professionals in your field. It takes between five and seven years to achieve chartership, as you must meet a series of criteria around the knowledge and experience you have gained since graduating. 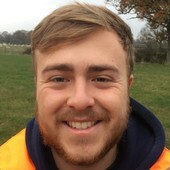 The British Geotechnical Association (BGA) has an Early Career Group aimed at graduates working in the sector, providing an opportunity for training, debate, sharing of knowledge and networking. Initially you may be given less complex projects to work on, but within a few years you'll take on increasing responsibility for challenging schemes with large financial implications. You may also take responsibility for overseeing the work of other professionals on site. You could progress by gaining insight into different areas, for example focusing on geotechnical engineering in infrastructure - in areas such as rail, highways and water. Or, you could move into geotechnical engineering in the energy sector, focusing on carbon capture, storage renewable energy, offshore or onshore oil and gas or nuclear power. If leadership or getting involved in strategic work appeals to you, a management role, head of a department, or even leading a company might be of interest. The expertise of geotechnical engineers is in demand, as global population increases mean there are ambitions to develop parts of the world affected by natural hazards, such as flooding or earthquakes.